Taxes may be complicated but life shouldn’t be. Our team of tax specialists are here to answer your tax concerns and provide you the calm assurance that you have experts on your side. The IRS is legally allowed to garnish or levy your wages if you owe them back taxes. In fact, the IRS sends out nearly 2 million wage garnishment notices and notices of levy to your bank account each year to recoup the money it’s owed. A wage garnishment is a legal way for the IRS to collect your debt by contacting your Colorado-based employer and telling them to levy your paycheck. Your employer typically has one pay period to begin complying with the IRS’ demand for garnishment and begin to withhold the garnished amount from your check—including wages, commissions, and bonuses—and send it to the IRS directly. If you are an employer who receives an IRS wage garnishment notice, you have a legal obligation to withhold the employee’s wages and pay the appropriate amount over to the IRS in accordance with the law. The IRS can issue a garnishment order without having to get a court ordered judgment against you, and they can garnish more of your wages than other creditors can. The IRS can legally garnish 70 percent or more of your income, leaving a single taxpayer with only $862.50 to live off of for a month or $1,725 for a married taxpayer with one child. The IRS must follow strict guidelines when garnishing your wages. It’s important to understand the guidelines in order to ensure you are properly protected in the event of a wage garnishment, including how much your earnings can be exempt from garnishment. The exact amount depends on your filing status and the number of dependents listed on your tax return. You can get more information on this by referring to the IRS Publication 1494. In addition, there are ways to negotiate and maintain a standard of living for you and your family if you are to the point where the IRS has issued a garnishment on your wages. 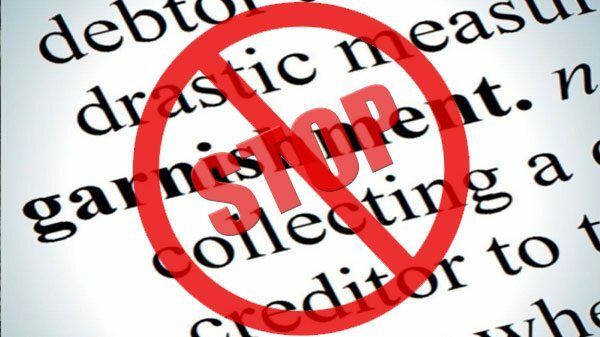 A financial hardship, as a result of the garnishment, can be stopped quickly in most situations. If you have the ability to pay the IRS something, the IRS may also issue a garnishment reduction, reducing the amount your employer is required to send them each month to match the amount you are able to afford to pay each month. A wage garnishment can be prevented from ever happening by addressing your tax debt prior to the garnishment being issued to your employer. The IRS mails you several notices, usually four at minimum, before they begin garnishing your income. If you receive a notice from the IRS advising you of tax liability, contact them as soon as possible to discuss payment arrangements. However, if you are already getting garnished, it’s not too late to get help as there are options to get your garnishment released. A release of a garnishment does not excuse you from paying the tax bill you owe but will allow you to pursue payment alternatives that are more affordable for your budget. You’ll need to obtain an IRS Wage Garnishment Release to stop the garnishment by setting up a payment plan, filing an Offer in Compromise, or even filing for bankruptcy. Depending on the size of your debt, the IRS may require financial statements when establishing your payment plan. True Resolve is here to help you with your IRS garnishment. 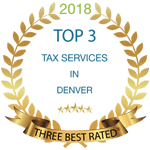 True Resolve Tax Professionals has seasoned experts in Denver, Colorado, who understand the nuances of IRS wage garnishment and alternative payment options and can quickly determine the best course of action for your specific situation. Don’t spend one more day trying to manage an imposing garnishment structure.